Victor Caro is a counterterrorism officer with the CYA, caught in a world where job security trumps national security. On assignment in West Africa in a post-9/11 world, he is tasked with hunting down the terrorist Omar al-Suqqit, who is looking to launch his group of ragtag militants onto the international jihadi stage. But chasing a terrorist proves an easier challenge than managing his agency’s bureaucracy. Omar, meanwhile, faces his own bureaucratic struggles as he joins forces with a global terrorist group that begins micro-managing its franchises in an effort to streamline attacks. 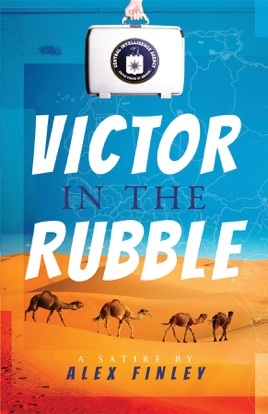 When Victor appears on his own country’s Terrorist Watch List and Omar finds himself struggling to write “Lessons Learned” in the suicide bomber program, they each realize they might have a common enemy: red tape.